We offer a wide range of restorative options to help you achieve a smile you love and teeth, gums, and other oral structures that function optimally. In some cases, more than one tooth may be missing or damaged in the same row. Individual dental implants can address this issue; however, if you exert significant pressure on your teeth from grinding or clenching, an implant-supported bridge may be a better option. Dr. Donian Shen, our skilled cosmetic and implant dentist in Mountain View, can determine if this treatment can provide the best result possible. 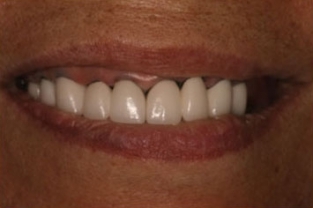 Please visit our Implant Service page to learn more about the Smile By Design approach. Just like with dental implants, a dental implant-supported bridge utilizes a two-part system to restore your teeth to their previous beauty and strength. A titanium post will be implanted into your jawbone, one for every missing tooth. 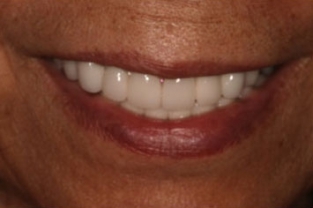 Once the tissue has healed, Dr. Shen will place a customized ceramic dental bridge on top of the implant. The bridge is essentially a series of crowns connected to each other to form one piece. Since they are connected, pressure from your opposing jaw will be spread across all of your teeth, rather than focused onto one area. This can help to prevent future damage and discomfort. Your unique needs and goals will determine which treatment option works best for you. Dr. Shen offers $60 non-refundable consultation consultations* to help you become well-informed before collaborating on a customized approach. For more information on implant-supported bridges and dental implants, or to schedule an appointment with Dr. Shen, please contact us today. What If I Don’t Have Enough Bone for Dental Implants?